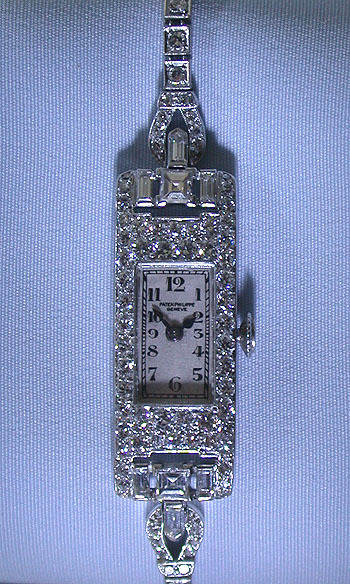 Fine and beautiful Swiss Patek Philippe vintage diamond and platinum ladies bracelet wrist watch circa 1930. The case and bracelet set with carre cut diamonds. Original silver dial with black markers and blued steel hands. Nickel 18 jewel 8 adjustment movement. 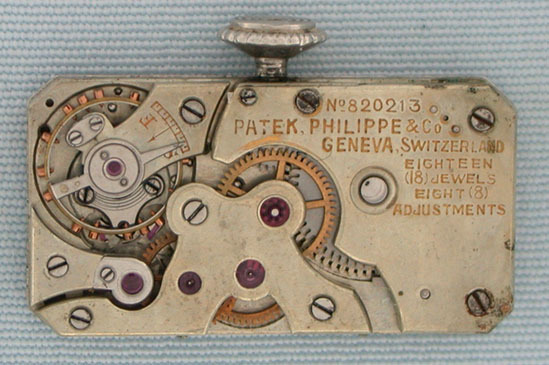 The case and movement with matching numbers. Overall length 6.25 inches. Exceptional.